State-owned Telecom operator, BSNL is facing the heat by which it is revamping its recharge plans by which it could attract many users. 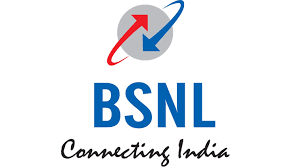 BSNL has now revamped Rs. 29 and Rs. 9 recharge packs. giving away unlimited local/ STD voice calling benefits to any network in home circle and national roaming, except Delhi and Mumbai along with 1GB data and 300 SMS messages for seven days. It additionally includes free access to PRBT (Personalised Ringback Tone) throughout the validity period. Rs. 9 BSNL recharge offers unlimited local and STD calls to any network in home circle and national roaming except Delhi and Mumbai, 100MB data, and 100 SMS messages for a day. Contrary to the Rs. 29 and Rs. 9 recharge packs by BSNL, Reliance Jio is currently offering 0.15GB data per day, unlimited voice calls, and 70 SMS messages for seven days with its Rs. 52 recharge, while a Rs. 19 Jio recharge offers identical benefits for a day. The Jio recharge options are available with free access to Jio apps.